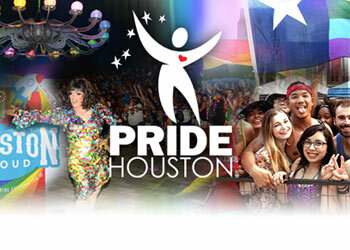 Volunteer Testimonials – Pride Houston, Inc.
"I personally volunteer for Pride Houston because not only am I proud to be open about my sexuality, but I also devote my time on helping out other LGBT people by informing them of the progress that Pride Houston has given other in the Houston Metropolitan area. It makes me feel great that I can, as an individual, make a difference in the community just by volunteering. Volunteering is a worthwhile and memorable experience every time. Whether it’s helping out at the Pride office or at events like Queer Bingo, I always meet new and interesting people while having fun with people I already know. It’s about the new friendships and bonds I make with new and current friends that makes volunteering invaluable." "I decided to volunteer because I wanted to meet new people and make new friends, and I felt like this would be a great way to do it. There’s always such overwhelming positive energy from everybody, and I love the way I feel when I’m headed home from an event. Even though I’ve done tons of different jobs with Pride, I’m never scared to try a new one because there’s always somebody there to teach you how to do it right, and it’s okay to make a mistake. I keep coming back because I love making people laugh and smile, and being with my friends that I’ve made over the years. I wouldn’t have met any of these people otherwise, and so I’m always grateful for the experiences." "Volunteering for Pride is fun. I do what I can, given the time that I have to offer and enjoy every minute of it. Pride is made up of such a great group of people and I always enjoy myself when we are working together. Those guys make me happy. As an ally to the community it was a bit tough in the beginning because people always questioned my attendance at the events and meetings. I think that I’ve been around long enough now that most stop asking. Occasionally I still do get a question or two and it’s okay. It really does not bother me anymore. I love to be given the opportunity to talk about Pride and what a great organization it is and what we want it to become. The volunteers at Pride are such a great and fun group of people. Everyone can be themselves and not worry about stigmas or prejudice. We laugh a lot and I really appreciate everyone’s commitment to the organization. I love to see everyone’s devotion and it inspires me to continue to work for equality and the freedom to be who you want to be. I am honored to be a part of Pride Houston."